Be Inspired Every Day is a website providing daily quotes to inspire you every day along with periodic reflections discussing many inspirational topics including motivation, goals, spiritual growth, meditation, improving physical health and more. For many of us, inspiration is something that comes and goes. Most days go by without inspiration as the day to day responsibilities and demands of work, family, traffic, etc. keep our minds occupied. This site is provided as a means to live each day to our maximum potential with motivation, creativity and a sense of purpose. This material is provided free with no expectations. It is a means for me to share the gifts that God places in my life every day. My hope is that you will gain wisdom and purpose through this site and share that gift with others. I strongly believe that, as the prayer of Saint Francis reads, “it is in giving that we receive.” And, this is where I find true purpose in life. Most images throughout this site are from my own collection and were taken by me at various locations throughout the United States. The image at the top of the page was taken at Mount Diablo State Park northwest of the San Fransisco Bay area as the sun was setting. I am, Danny Kohn, writer and designer for this site and owner, software engineer and consultant for Inspirations Software Design. My three greatest passions in life are sharing time with my family, software design and sharing inspiration with others. I have the incredible privilege of being able to spend a significant amount of time every day doing each of those three things. I am a single father of Tristen, our 6 year old son. It has been such an incredible joy to watch him grow up and learn so much. Everything he does and says overwhelms me with adoration. We have a wonderful evening ritual of reading books together in a beanbag chair. Nearly every night, we have a laughing attack together. I smile and giggle constantly in his presence and feel truly inspired. Tristen’s mom, April, is also the business manager of Inspirations Software Design. I have the pleasure of working with my best friend whose skills, talents and vocational passions are so different than my own that we compliment each other perfectly. What we do share is a rejection of the status quo, a stubborn desire for independence and a passion for constant improvement of our lives and those around us. Though we are no longer married, we are still strong partners in parenting and in business. While one of God’s gifts to me is an ability to communicate through written words, one of God’s gifts to April is the ability to communicate face to face and heart to heart. She has this remarkable ability to look into someone’s eyes and feel what they feel and to share it: an ability that I had nearly lost entirely before she shared it with me. Some of the people who inspire me are Dr. Wayne Dyer, Ralph Waldo Emerson, Viktor Frankl, Steve Pavlina, and of course, having the opportunity to inspire you. I welcome and encourage any feedback, suggestions, questions, expressions of appreciation, criticism and messages for any reason from readers. Please feel free to email me at danny(at)inssoftdesign(dot)com (replace the (at) with @ and (dot) with .) or leave comments on my posts. My hope for you is that you live in inspiration every day and that I can help you do that. Congratulations Danny. I find your site very inspiring and check in every day for a pearl of wisdom. Keep it up. You are making a difference. 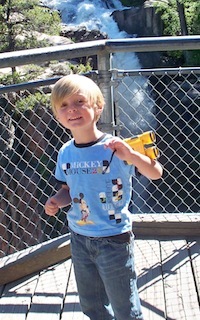 PS – The top 20 lessons from your toddler Tristen is fabulous. My 4-year-old is just the same. A natural Zen master. Your posts are written out of deep personal experience and shared with great compassion. They truly inspire and touch. Thank you for sharing.